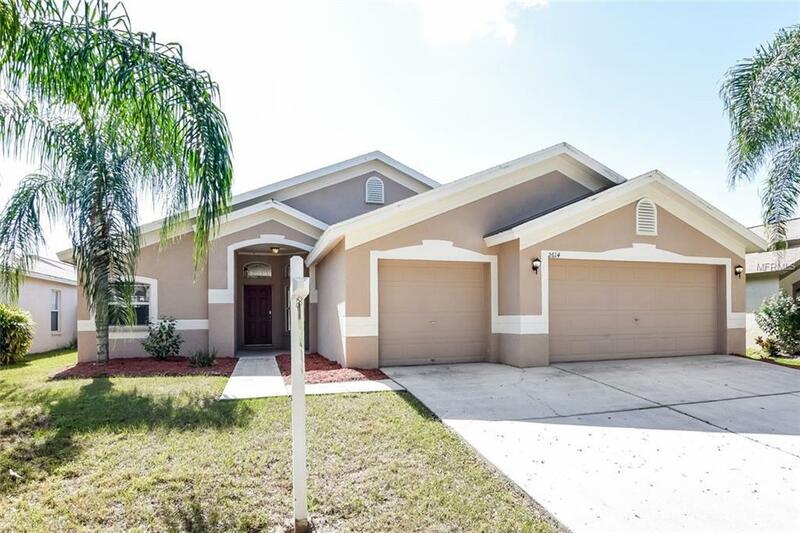 Must see this Beautiful 4 bedroom, 3 bath pool home in Bloomingdale subdivision. Tile flooring in all wet areas and new carpet in bedrooms. You will be greeted by the spacious living room and dining room area, kitchen settles in the middle of home open to the spacious family room. This home is a 3 way split bedroom floor plan. Master bedroom with view of the pool, gorgeous master bath offers large double sink vanity, garden tub and separate shower. 1 of the guest bedrooms has its own full bath with exit to backyard. Large utility room and 3 car garage!! 3 sets of sliders lead you to the pool area with extra yard area and fully fenced. Don't miss out on this home come and see it today!! Additional Pet Fees $250 For The 1st Pet $250 Each Additional Pet $35/ Month Pet Rent. *Dog Bite insurance. Pet Restrictions 3 Pet Maximum - No Pit Bulls Or Rottweilers/ Some Pet Restrictions May Apply. Listing provided courtesy of Invitation Homes.